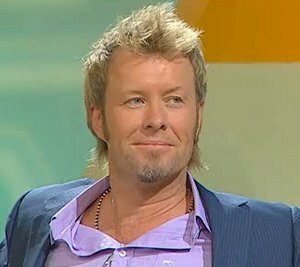 Magne and Morten are already in Bergen to prepare for Saturday’s concert at Brann Stadium, and tonight they were guests on the live talkshow “Førkveld” on NRK1, with host Halvor Folgerø. They were very pleased with last weekend’s concert at Ullevaal. Following a montage of live clips, Morten talked about how touring can become a blur after a while, which made Magne remember an infamous incident from last year. I have posted a translation here. And Magne revealed that there will be a second HHAL-concert this autumn. But he didn’t say if it will be held at the Royal Albert Hall or somewhere else. The Førkveld interview can be seen online here. 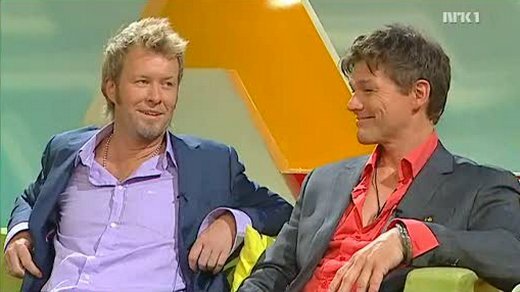 Magne and Morten were also interviewed on Vestlandsrevyen (local news) tonight. The video clip can be seen here.